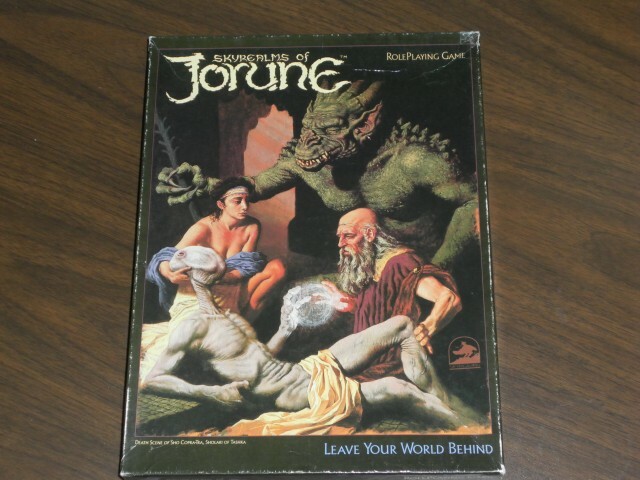 Picked up a first edition copy of Jorune at GenCon when it came out. Have always loved the Miles Teves artwork. According to the web, he is now working as a make-up artist in Hollywood. Chessex seemed to have some copies of their edition for sale at GenCon this year. However, rumor has it that Chessex and Andrew Leker were locked in some copyright dispute, so odds of a new edition are not good.